Genealogy Frame of Mind: They Lived Where? 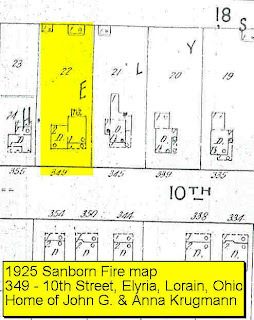 John & Anna Dora Dute Krugman, Mark's great grandparents lived at 349 - 10th Street, Elyria, Ohio, it seems for most of their married life. Below are two views of that address. 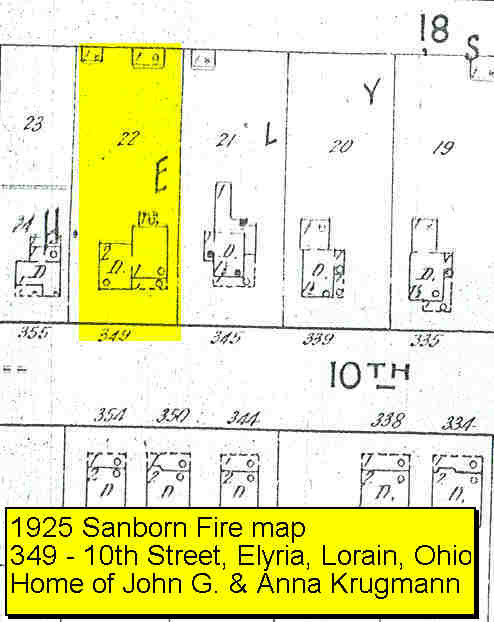 The first from a family photograph, the second from a Sanborn Fire Map. The persons in the photo are unidentified as of this writing. Remember that the images may be enlarged by clicking on them, and then using your browsers back button return to Frame of Mind. Pretty neat eh? I've attempted to validate the home photo, but to our dismay the home appears to be no longer standing. The address was on the back of the photo, but it is unknown to the compiler as to who wrote it there. What a great photo! I just love finds like this, along with the fire map too. They are, as you say, "pretty neat". 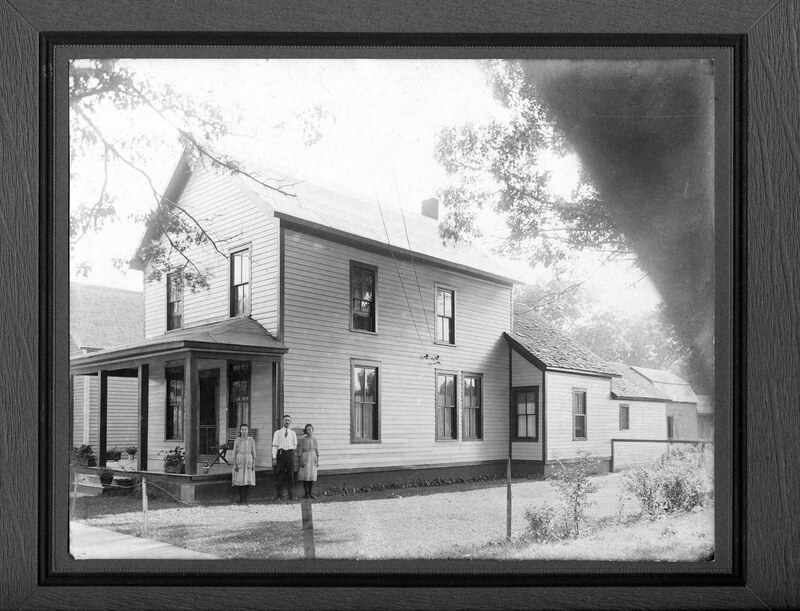 The single story house you can see in the background of the photo is still standing though, and according to the 1900 Elyria census data, John and Anna Krugmann lived at 355 10th st, while John and Mary Krugmann lived at 349 10th st, right next door. Maybe the people in the photo were John and Mary? WELCOME - I'm glad you decided to stop by! Thanks for stopping by! Hopefully I'll be able to share my love of genealogy with you, inspire you, entertain you & maybe even help you learn something you didn't already know! I was born & raised in south Florida so things are pretty casual here. So grab a chair, something to "wet your whistle" as my grandfather used to say... and come sit a spell. You just never know what you'll find here! Whether you become a follower or not... Thanks for stopping in! 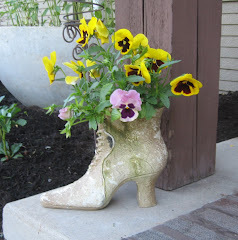 Follow Karen's board All Things Genealogy on Pinterest.